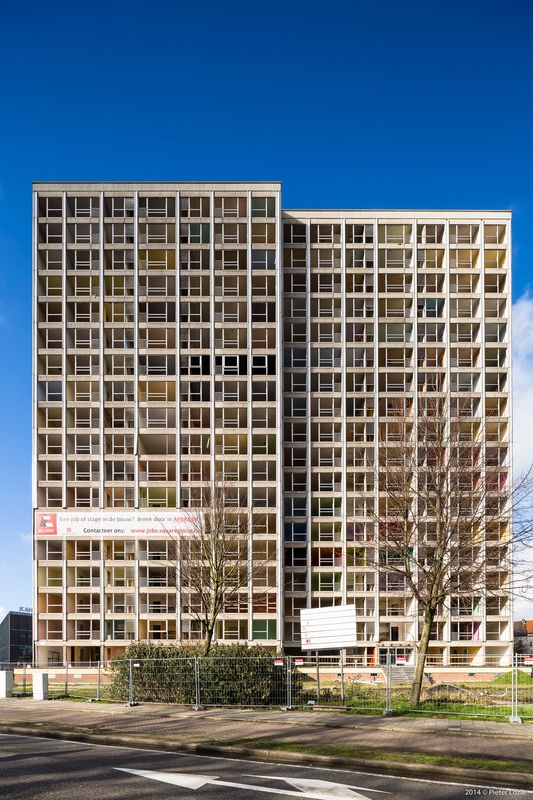 Belgian artist Simon Allemeersch decided to move into a tower block slated for demolition, just as the first residents were moving out. Failed Architecture asked him about his motives. 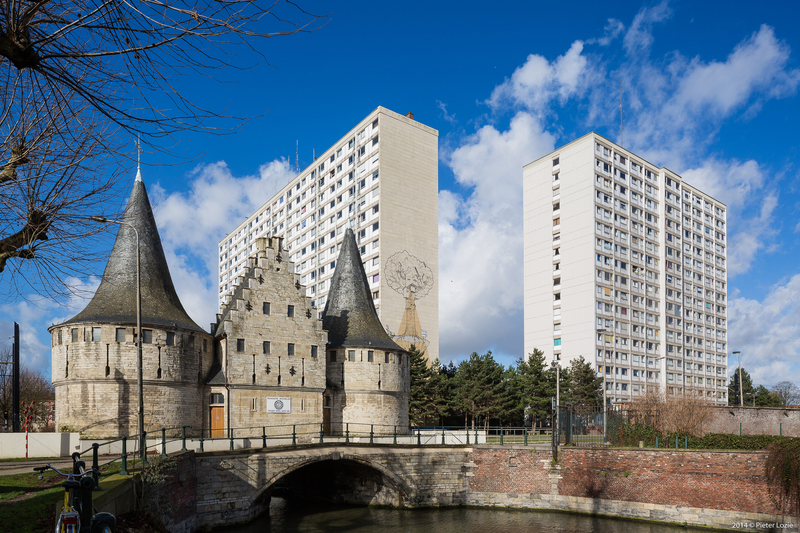 Just as so many other modernist housing estates, the Rabot towers in Ghent are currently being knocked down. Their fate seems to have been influenced by a complicated mix of construction faults, poor maintenance and a rising popularity of their surroundings. Simon Allemeersch, a local artist and theatre maker, decided to move in just as the first residents were moving out. Together with those who stayed he discussed the built fabric and social conditions in which they lived, thus setting up a lively exchange between them and the indifferent outside world. 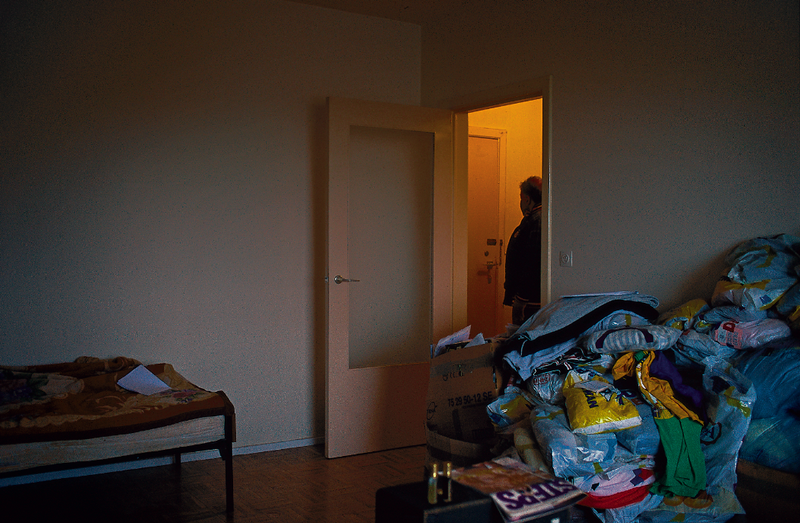 Allemeersch stayed for two years, building up strong relationships with residents, who were tired of artists coming and going just to exploit their living conditions. The late-night discussions and social gatherings in the artist’s flat led up to a documentary film, which can be seen as a living memorial to those who lived their lives in the now hibernating Rabot towers. In it, Allemeersch and the residents embark on a quest to answer the blunt question as to why the towers turned from a success story into a failure so rapidly. His curiosity seems to neatly fit into Failed Architecture’s mission statement. On June 20th, the documentary was screened at Flemish art centre ‘De Brakke Grond’ in Amsterdam, after which Failed Architecture hosted a Q&A with Allemeersch. In the run-up we asked the artist about his motives. With Failed Architecture, we always start our articles and workshops with the basic questions as to why and according to whom a building has failed, and if so, what caused this and what are its effects. Why, according to you, do the Rabot towers have to go? With this work we wanted to explain the cluster of reasons as to why these buildings have to go. The realities that lead up the imminent flatting of housing estates are complex and difficult to explain. More often than not, there is a lack of political will to preserve these living environments of the socially weak, and although it is never said publicly I really think there is a strategic use of gentrification tendencies, especially when these estates are located in upcoming neighbourhoods. In the case of the Rabot towers, there was a lot of gossip about what was going on inside. What struck me was that the actual residents were so poorly informed about the shape the towers were in. How and why did you become interested as an artist, and did your views on the estate change over time? Although I did not grow up in a tower block myself, the longer I worked and lived in the Rabot towers, the more I could understand why people felt at home here. Some of the residents turned their dime-a-dozen apartments into really nice places, for example by turning their living rooms into bedrooms. With some clever design and use of imagination, the floor plans were actually quite adaptive to their wishes and demands. I was fascinated by the ways in which the residents tried to make something personal out of a poorly designed building. When a friend of mine who works at the estate as a social worker invited me to come up with a play, I didn’t have to think twice. The residents seem to have lost control over the picture the media paint of the Rabot towers. How do they experience their living environment themselves? They are extremely aware of the bad press about their living environment, but at the same time they are very proud as well. One of them said the outside world might complain about the appearance of the towers, but he was the one with the magnificent view. Residents blame the housing corporation and the local government for the buildings’ shape, but they lack real knowledge about how this bad design came about historically. It was exciting to talk with them about CIAM and functionalist design, discussing the benefits of living in high-rises set in a green environment. Of course, they blame other residents for the poor conditions they live in as well. The media are highly interested in their fates, but in a negative and sensationalist way. I was contacted several times by producers looking for people living on the edge of society, only to portray them on national television as dropouts and scum. Very disappointing. In what ways do you think the Rabot towers’ physical shape influences the way people behave and interact with each other? A lot of people in Flanders have strong prejudices about social housing and its residents. From the outsiders’ perspective, it’s quite a closed world. This is exploited politically, as we have seen during the latest elections again. It’s too easy to depict these residents as taking advantage of social benefits. In general, people know very little about the effects of poverty and bad housing on the psyche of residents. There is this idea that poverty and psychological problems are only a matter of individual guilt. The physical shape of these buildings, the mistakes that were made during the design and construction process, current politics: it all influences the lives of the residents far more than outsiders can imagine. And this is not a unique case at all. Similar buildings in Flanders and abroad suffer from the same structural flaws and biases. Sadly enough, this explains the almost visceral dislike for both these places and their residents. The general public has no clue about the ways in which a bad reputation influences the biographies of people. After seeing our performance, a lot of people came up to me who told me they felt ashamed about their prejudices about people living on benefits. Now that’s progress. How do residents think about the redevelopment scheme themselves? Will they be able to return once the scheme is finished? It really is a close-knit society community. When the demolition plans were announced residents and social organisations asked the housing corporation to build replacement dwellings first, in order for neighbours to stick together. There was this vacant lot near the towers, but it has been earmarked for an upper class housing project. Consequentially, residents felt unwelcome and chased away from the neighbourhood even before moving out. In theory, people can return to new on-site developments, but it will take years before construction is completed and the housing company is unwilling to mention future rents. Even if the rents go up just a little, it will prohibit many residents from returning. In the beginning the residents were quite hesitant in working with you. Why so? Residents were fed up with the visits by journalists, documentary makers, art students and photography students, or as they like to call them: ‘people with a camera’. The estate has been used as a safari site for social tourism. With my project, I chose to really live in the estate and use one of the apartments as a personal atelier, which was always open to residents for a chat and a cup of coffee. The residents and I, we both had to deal with the same problems, e.g. squatting and burglaries. We were in it together. After living in the estate for almost two years, one resident came up to me and said that all these art projects were completely useless. When I protested, he said that this project was different from others by building up long-term relationships with residents. Do you think it’s an artist’s responsibility to tackle socio-political issues such as these? How do you prevent the obvious pitfalls, such as being used by your sponsors, or being seen as just another artist who wants to tell an authentic story? On the one hand I’m always aware of the sugarcoating effect, in which policy makers use artists to straighten out tough issues and abuse art as a social lubricant. On the other hand, the backgrounds of our sponsors – the city of Ghent, the housing company, art centre ‘Vooruit’ – were so diverse that they could not make an ideological fist. We have had our problems with every single one of them, but we always stayed in touch. After all, this project is about connecting organisations, societal structures and actors that are not connected anymore. As an artist you have the cultural capital to do this, but I’m not saying you’re obliged to. However, art can be very strong in connecting people, if it chooses to do so. Only now post-war architecture seems to regain some of its initial popularity, at least amongst a younger generation. Do you think people in the future will look at concrete slabs such as the Rabot towers with different eyes, maybe with a less biased view? I really hope so. Especially in Flemish cities we have this strange historical fascination for medieval architecture, even if it’s not really medieval but just nineteenth century mock up and kitsch. Some Flemish cities are medieval fairylands, preserved with great care. I find it incredible that this mystifying of a past that might never have been there will not dissolve in the future, on the contrary. Even the layout of the Rabot towers had to suffer because a minority of conservationists wanted to preserve the blue sky behind a medieval monument nearby. It’s frustrating and telling to see how they have sacrificed the orientation towards the sun of 180 apartments just to preserve the lines of sight of some monument where no one actually lives.